It's our final week with Jen Rzasa as our muse at CASE Study, Jen's stunning CAS cards have been quite the challenge for me! So much white space!! I managed to fill it with some debossing this time, for a sweet and fairly simple card! : ) Here's Jen's fab card this week. 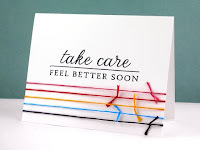 I love the knotting technique Jen used in her card, I chose to CASE this but I used some twill ribbon instead of twine. I also added a few feminine elements. I interpreted the white space as an embossed area and teamed some cream card with some white for a light and fresh look. The Antique White and Willow Green Twill ribbon are from the Craft Fairy. I love this shade of green. Perfect for Spring cards, yes, I'm ready for Spring already. We've had such a mild winter, the daffodils are starting to bloom already!! 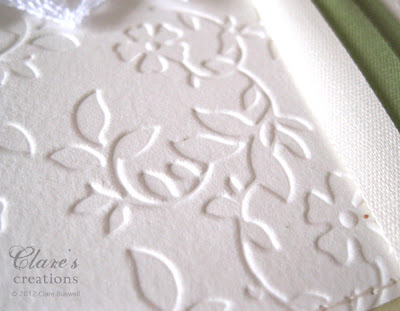 The embossing folder is called Garden flowers from Bringing Crafts Too You. I used the debossed side for a change. 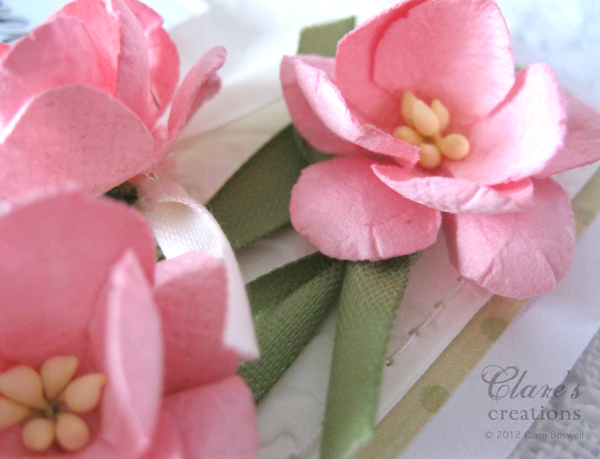 I just tied some simple knots in the ribbon and added some sweet Pink Cherry Blossoms from the Craft Fairy. You can't beat a pink and green color combo! It's just so fresh! For the sentiment I used one of the gorgeous stickers from Fancy Sticker Sentiment - Love from SRM Stickers. I love this beautiful font! OTHER: WHITE CROCHET LACE, SEWING MACHINE. This is so feminine and pretty. I would never think to combine white and cream, but it looks amazing here! I love the way you knotted the twine, too. Very soft and pretty! Love the embossed background. Absolutely beautiful Clare! It hits all the right spring notes! Gorgeous take on a lovely inspiration card! 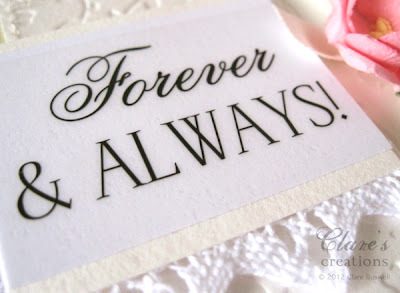 Gorgeous gorgeous card!! 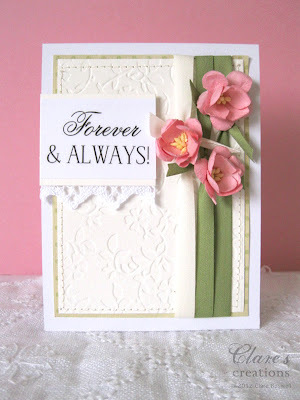 Love the embossing and the pretty flowers! Clare, this is so pretty! Sorry if my minimalist approach was challenging....but I would never know it from looking at the amazing cards you made this month! 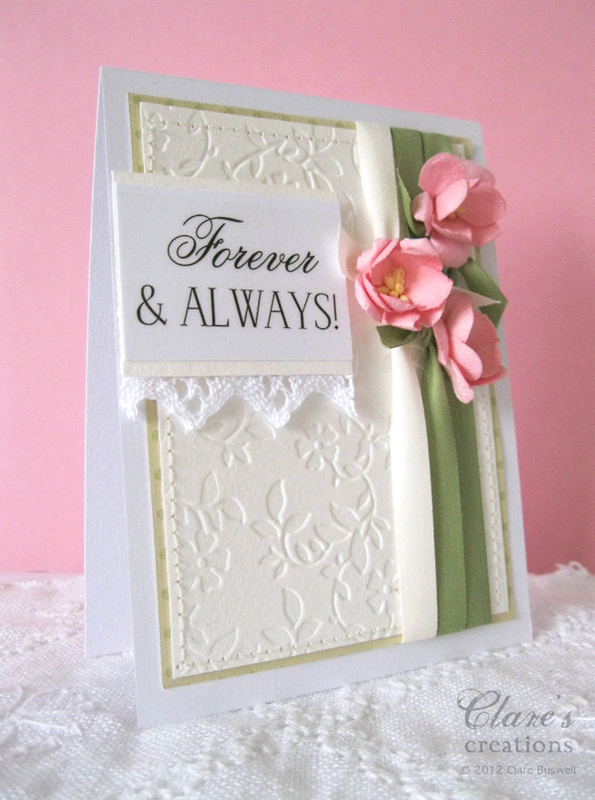 I love the texture you added with the debossing and the flowers, as well as the soft and delicate colors. 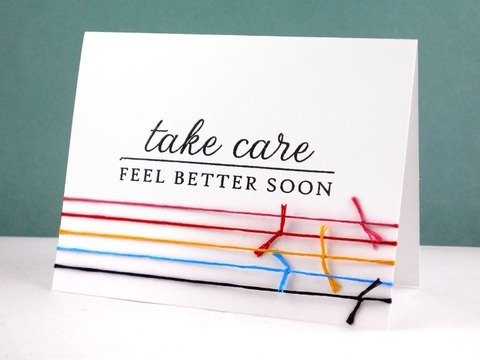 I can always count on you to present an unusual take on a clean and simple card- this one is just beautiful. thanks for the inspiration!